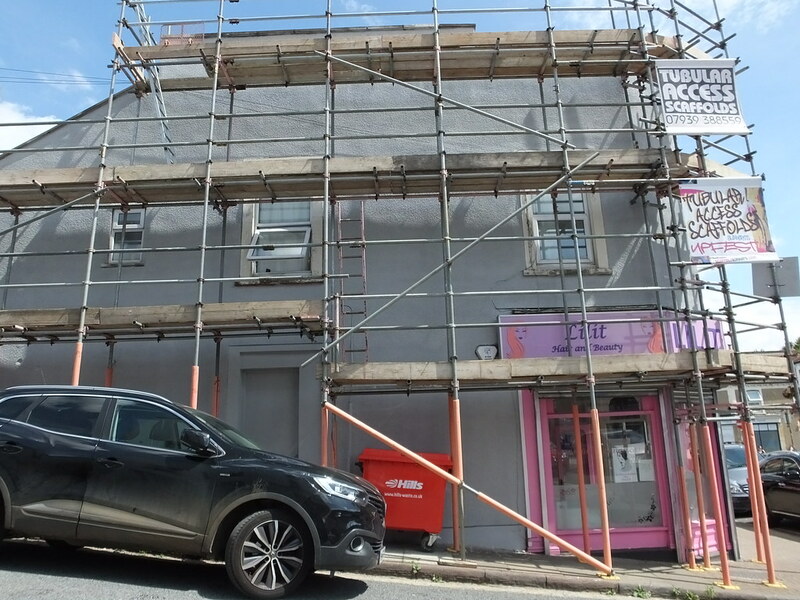 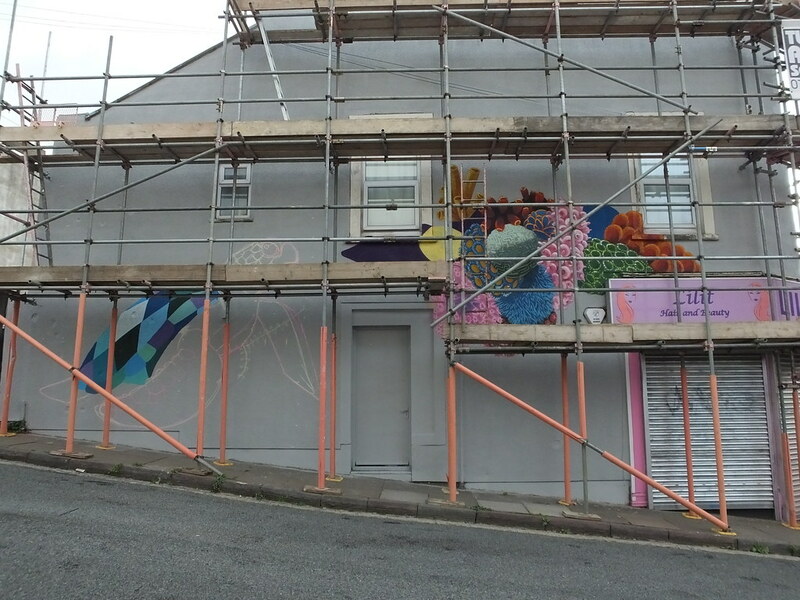 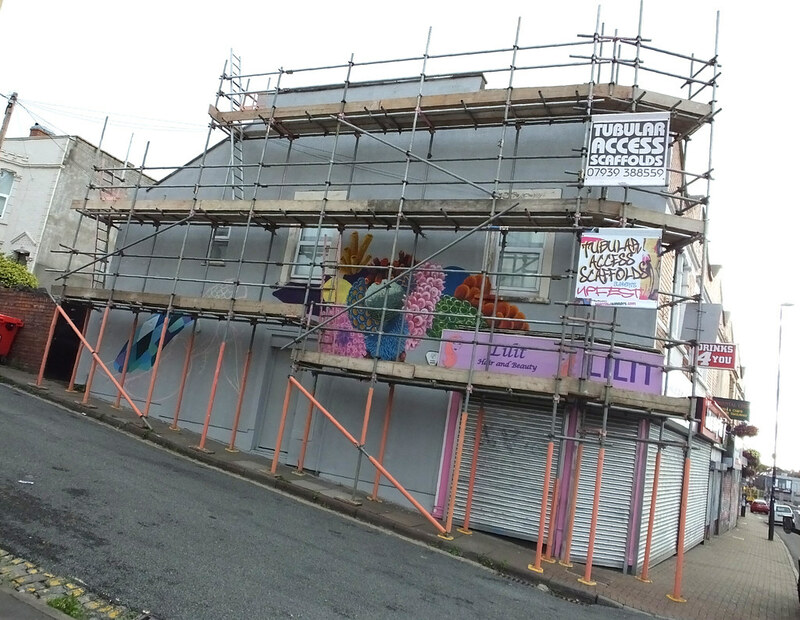 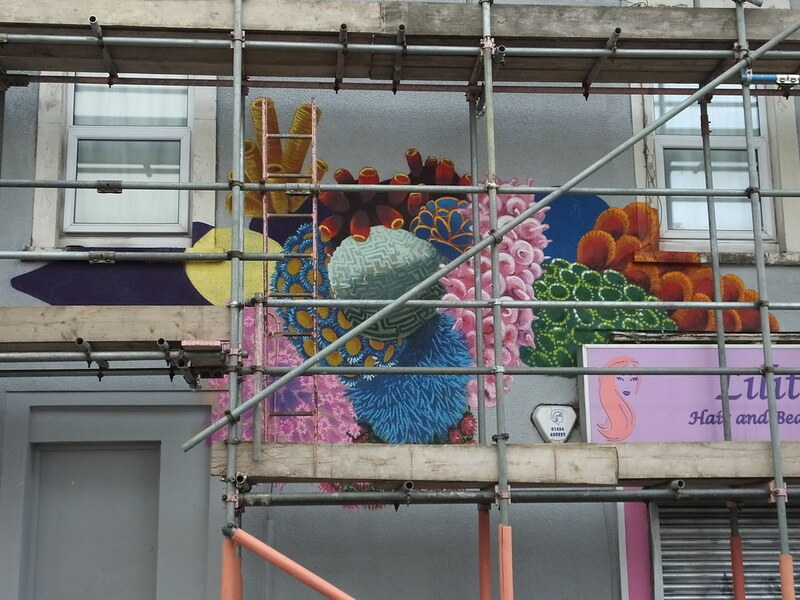 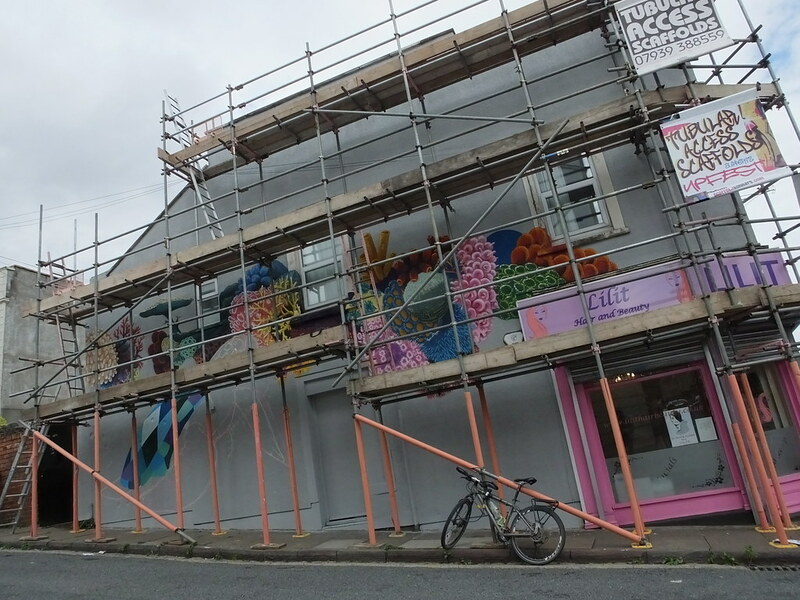 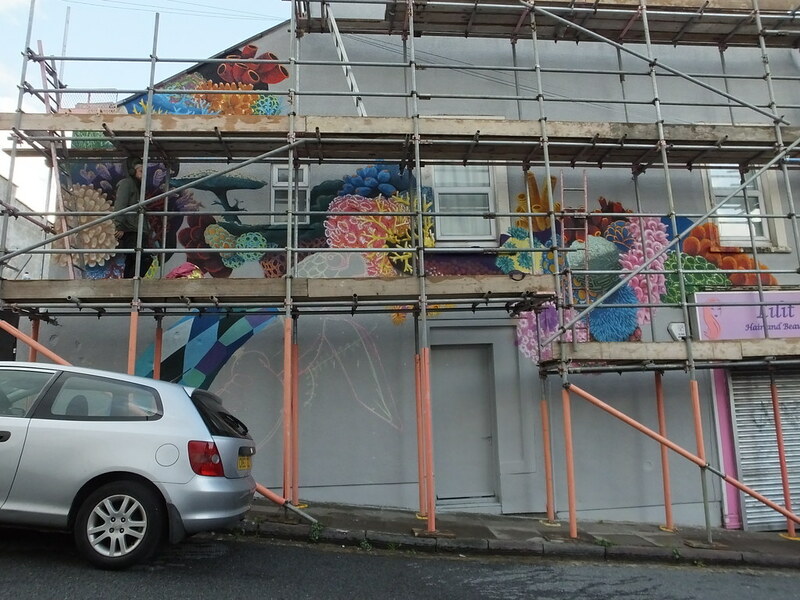 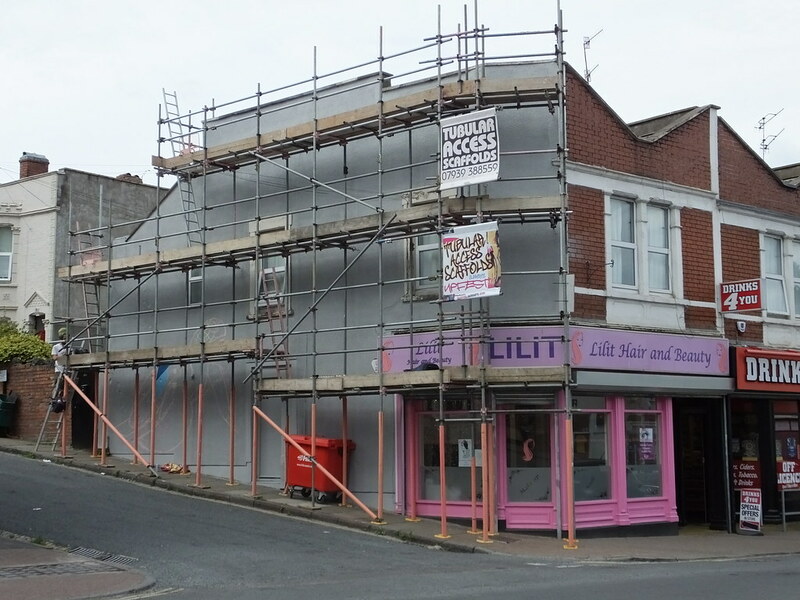 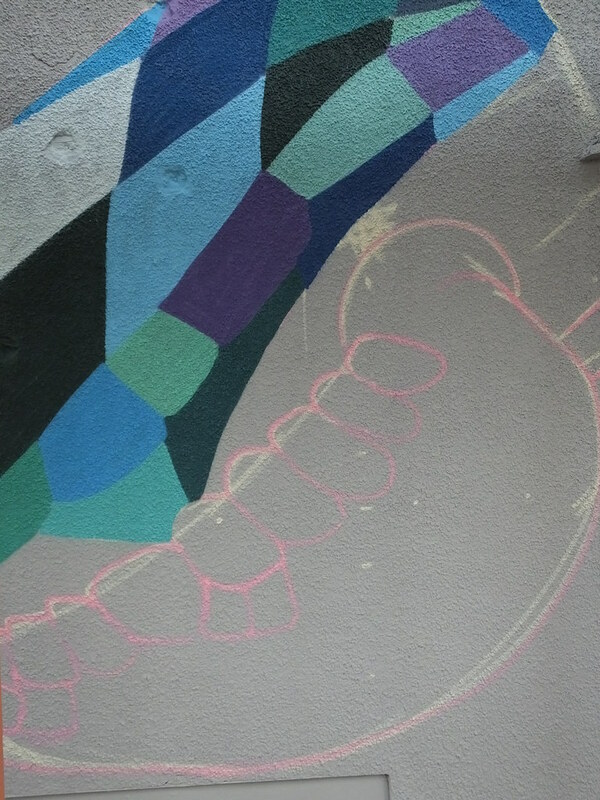 A grey canvas on the side of Lilit Hair and Beauty was ready for it’s yearly makeover courtesy of the street art festival ‘Upfest’. 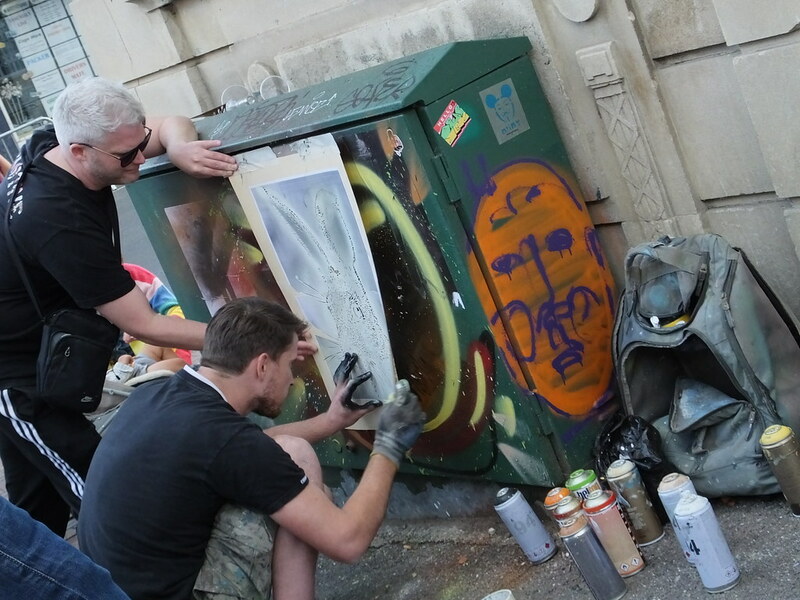 The Upfest is now in it’s tenth year and Louis Masai was one of hundreds of invited artists to paint in Bristol in late July. 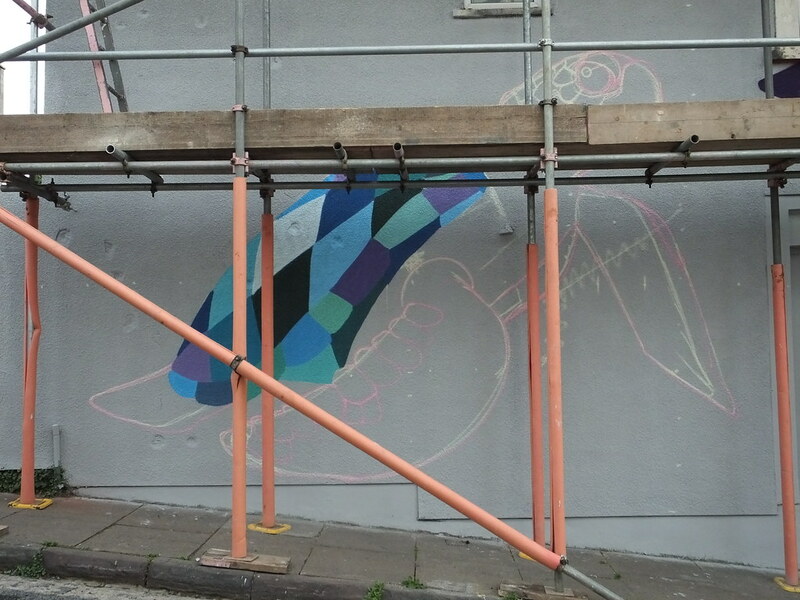 Louis is known for his colourful designs featuring a range of animals in a patchwork style. 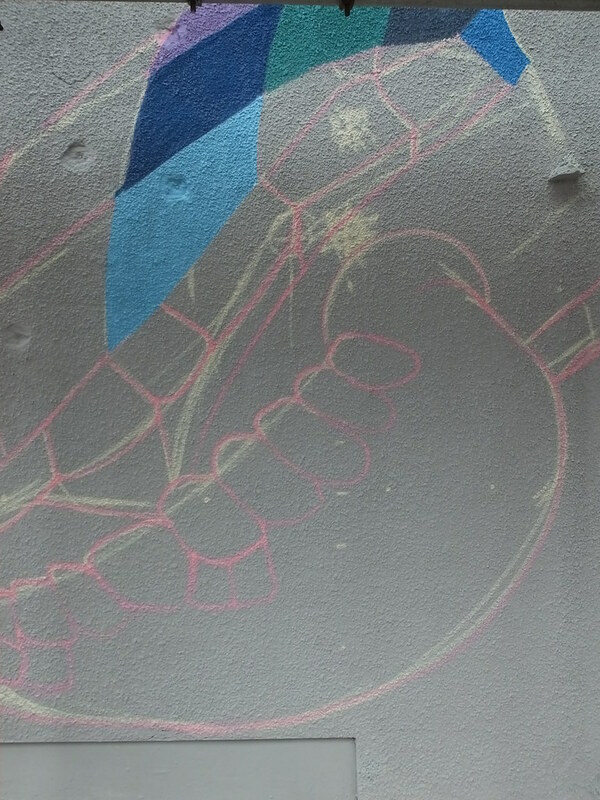 Here we can see the beginnings of a turtle. 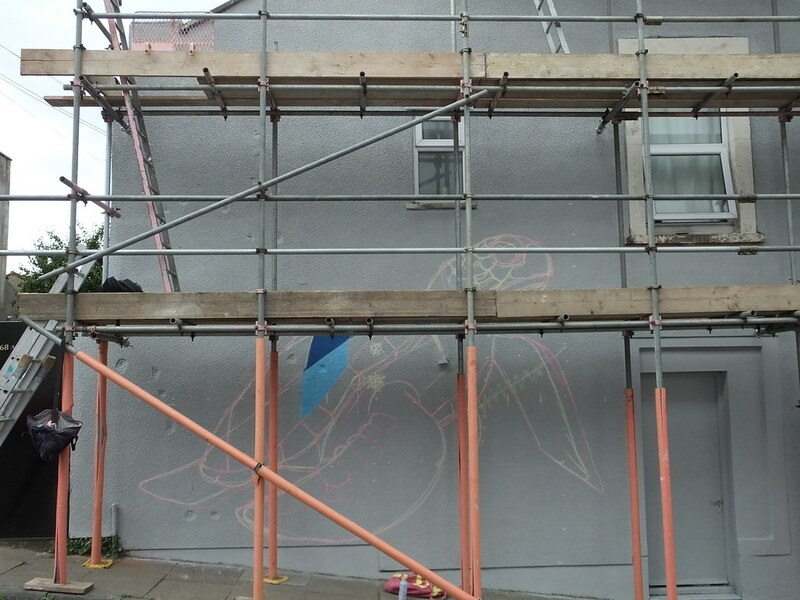 Here Louis has painstakingly created a geometric turtle but also an endless underwater landscape full of textures and colours for it to habitate in. 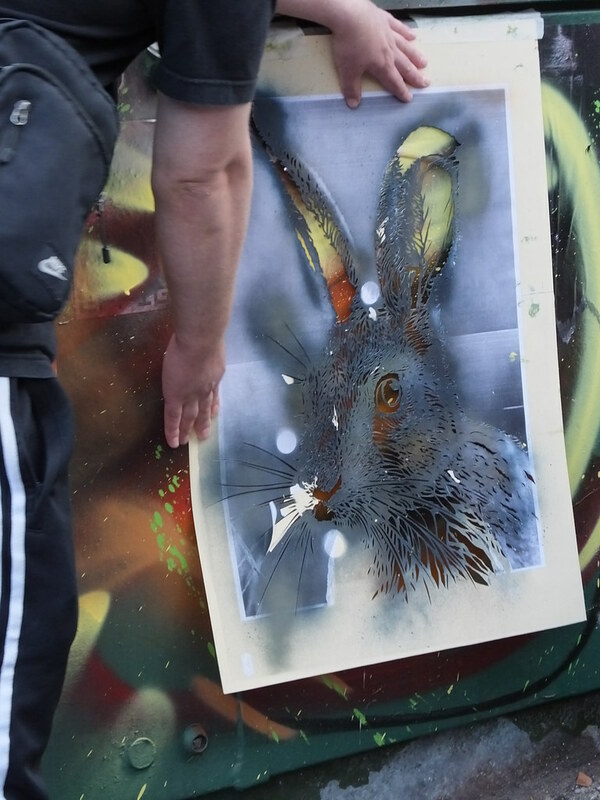 It’s such a huge canvas for one person to be painting over a couple of days with such intensity and high level of detail that it came as a total surprise when a stencil artist appeared opposite and caused QUITE a stir! 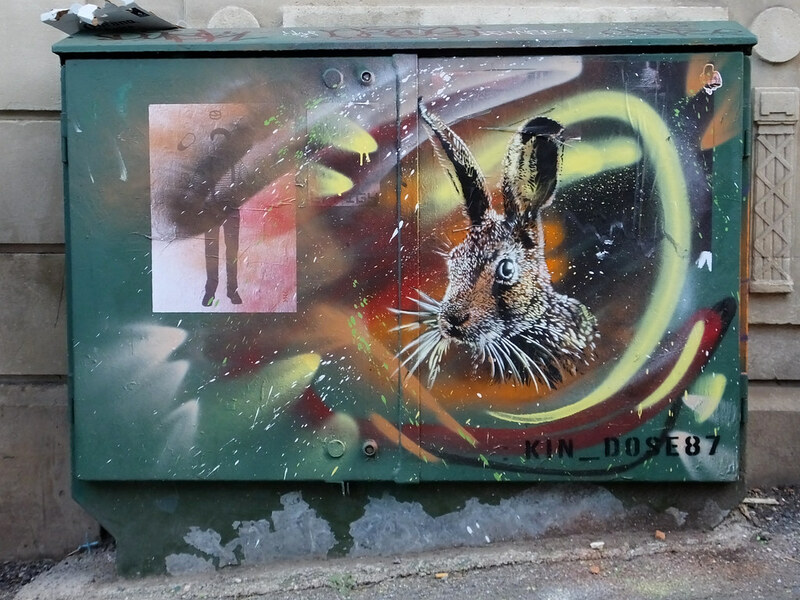 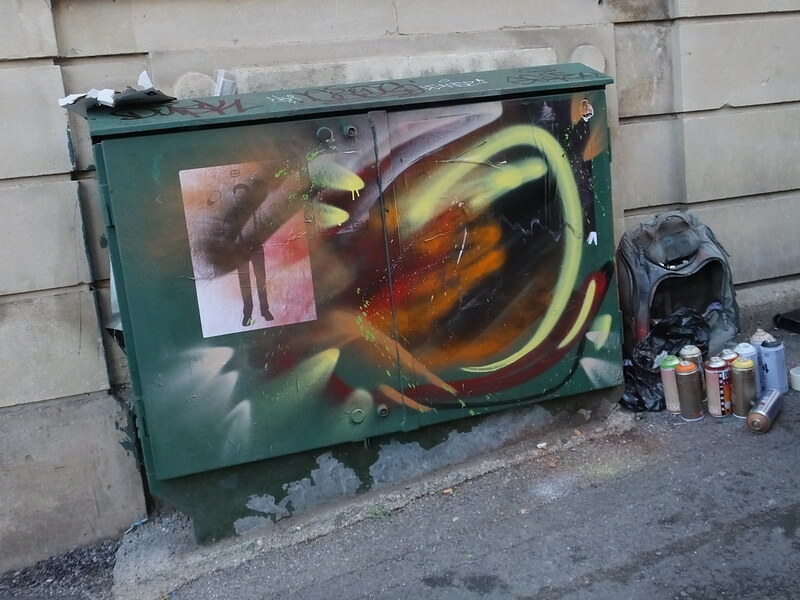 Stencil artist Kin Dose 87 quickly sprayed some swirls on a green facility box and then whipped out two layers of stencil to create this stunning rabbit – it was literally all over in less than 5 minutes! 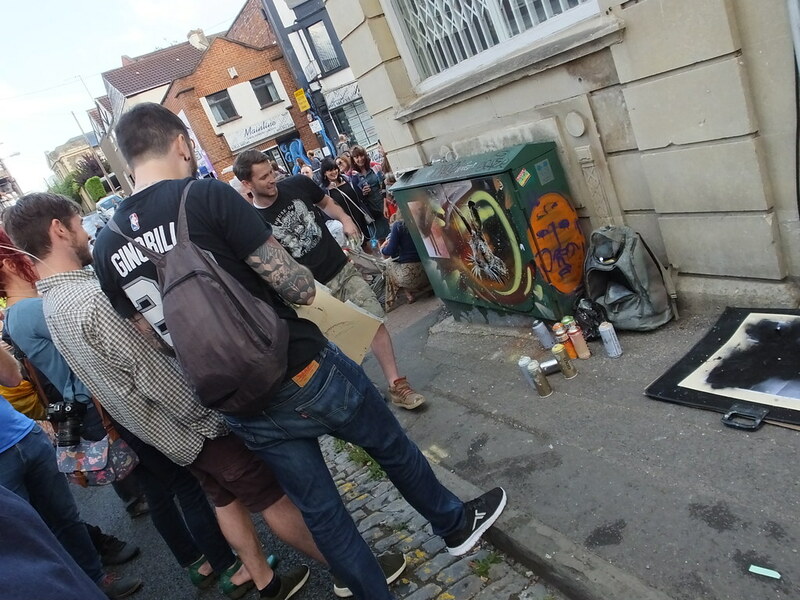 A large audience stopped to watch this artist at work, totally blocking the road. 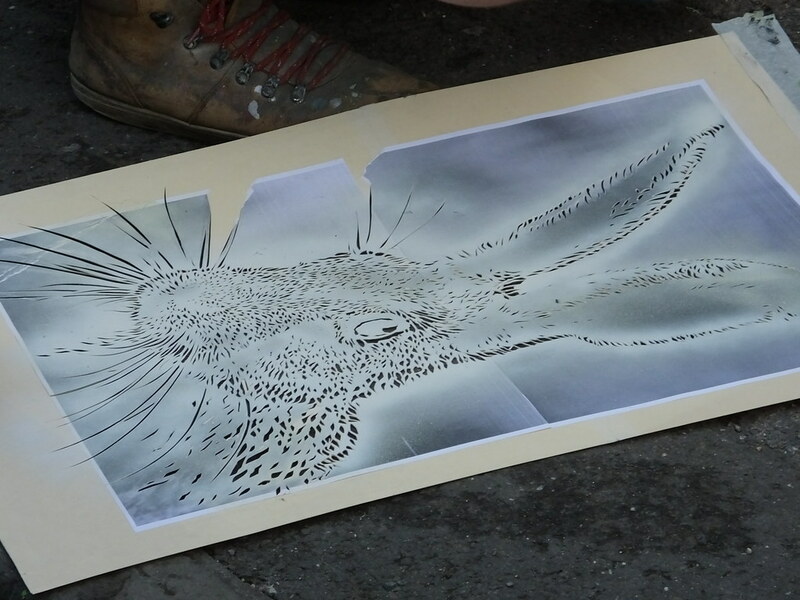 Everyone that had gathered was busy taking photos throughout and it ended with a loud round of applause when the last layer of stencil was removed to reveal the masterpiece. 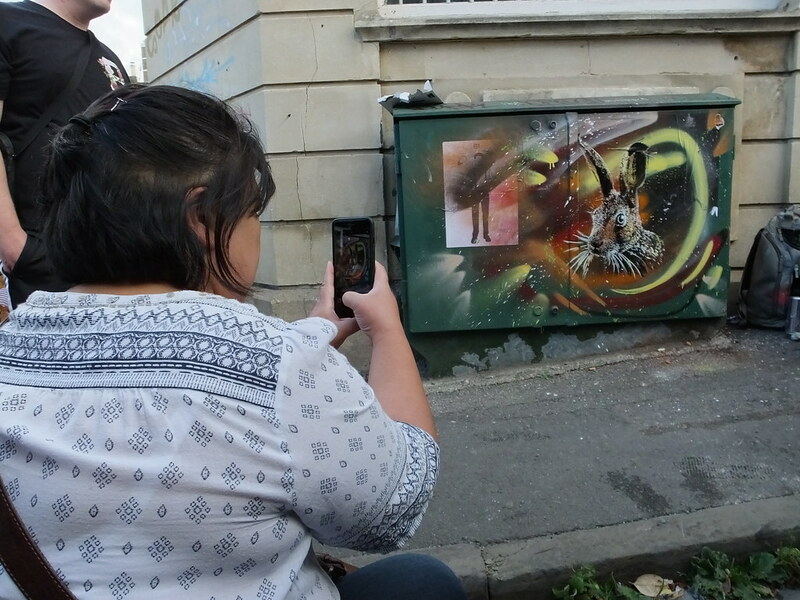 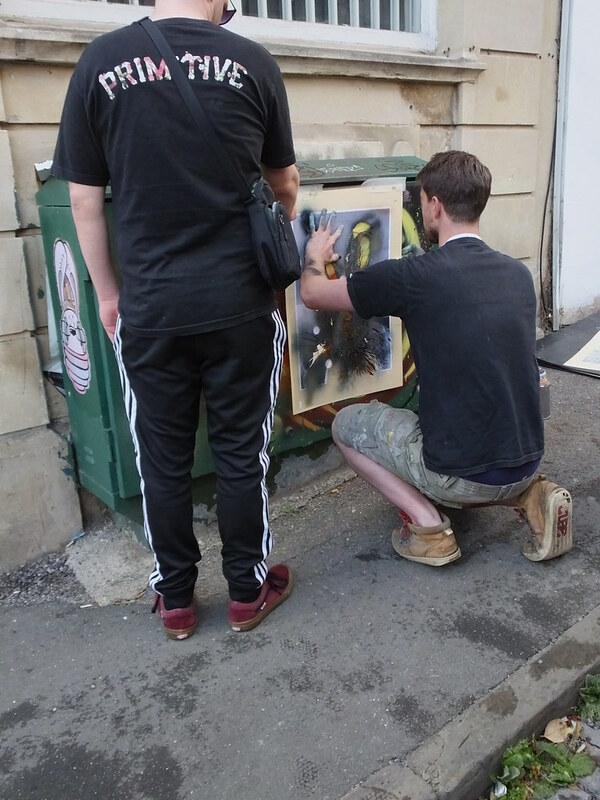 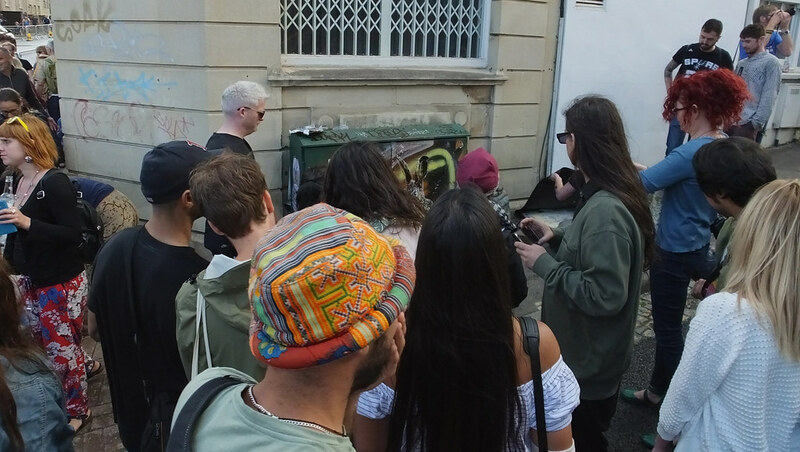 Louis Masai was still busy working on his own masterpiece opposite and I think maybe wanted some attention….. did someone say it was his birthday? 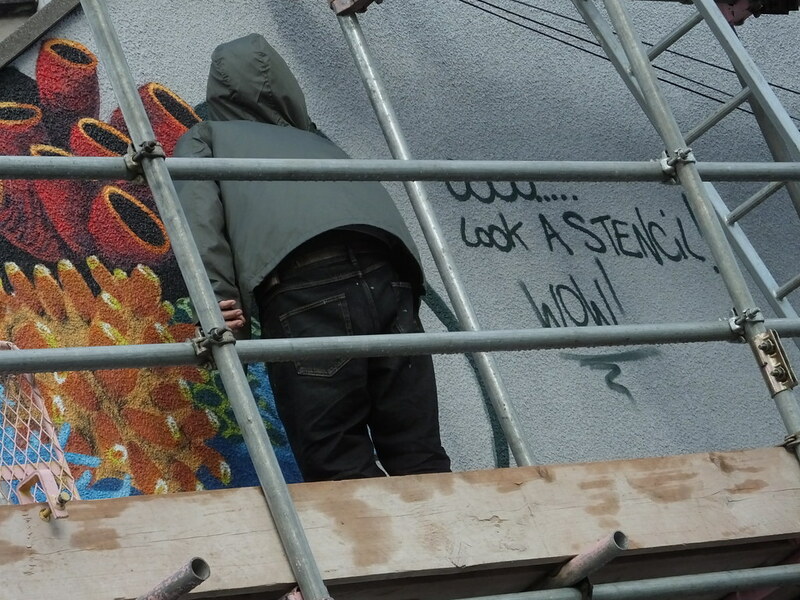 Check out the quick video below showing the artists in action! 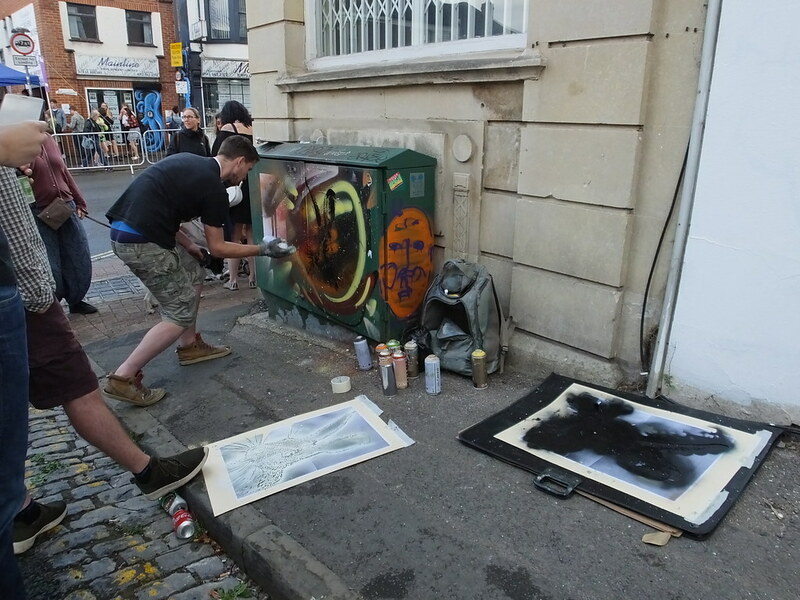 Previous Post Saw it first at Upfest!